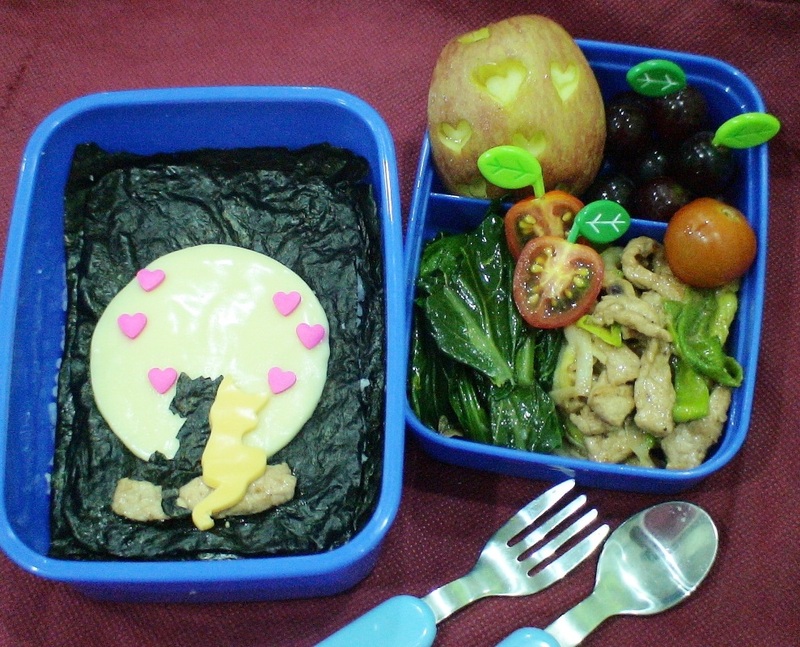 A quick post today for Valentine’s bento…loving cats. I put a layer of seaweed on the top of the rice. 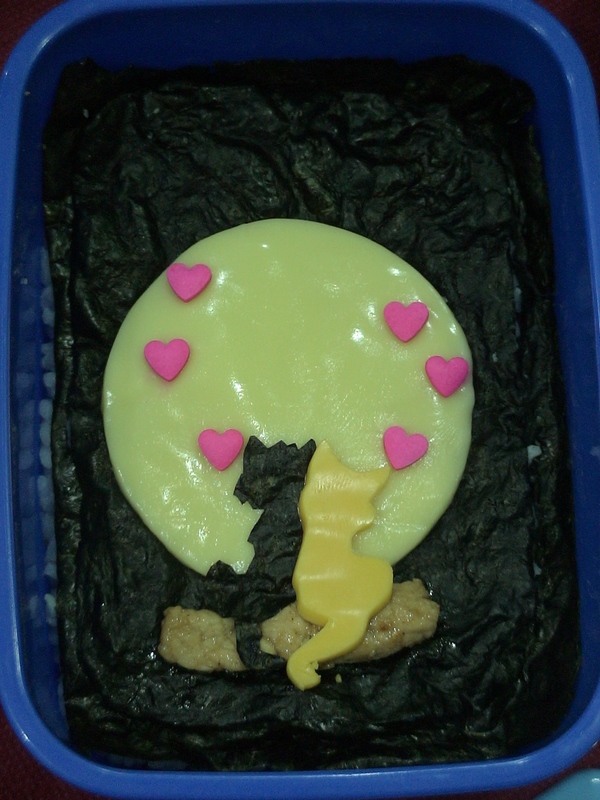 Then, cut a round cheese as the moon and placed on top of the seaweed. The black cat was cut from nori and the yellow cat was cut from cheese. Those pink color heart are actually sugar decoration hearts. Both the cats were sitting on a wooden bench (a piece of pork). Other goodies in the box: pork with leek, choy sum, cherry tomotoes, apple and grapes.